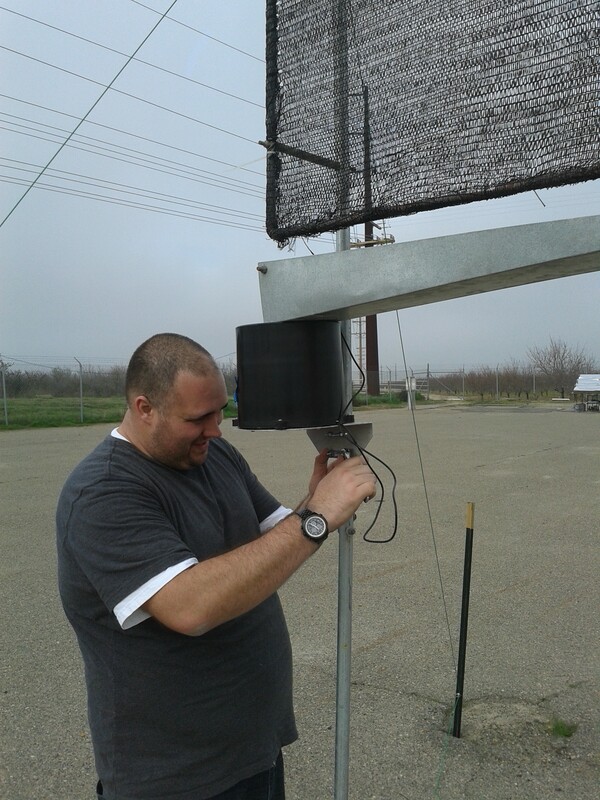 Set up the active and passive collectors today at a UC Merced facility in Atwater, near the Castle Airport. 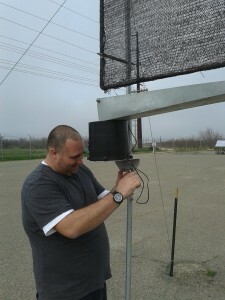 Thomas can be seen installing the rain gauge on the passive collector. The active collector will be operated manually. Right now, it is set to come on at about 11 pm and off at 10 am. This morning was super foggy, and tonight rain is expected. 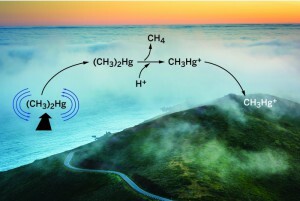 This figure is from a recent article written about the research in Chemical and Engineering News. Ocean eddies bring (CH3)2Hg from deep water to the surface, where the (CH3)2Hg evaporates. Acidic fog or aerosol particles in the atmosphere demethylate (CH3)2Hg to form CH3Hg+, which is then deposited on coastal land. What a year 2015 was! The project has been getting substantial media attention (see the link for Press and Publications). We are working to identify the source of elevated levels of monomethylmercury in fog and to quantify the impacts of fog deposition of this toxic chemical on the terrestrial ecosystem. Below are the posts from our site technicians as we keep each other informed about our efforts in this research.